The Clarion County Community Foundation held its fifth annual meeting March 22, 2012, to conduct regular business and elect officers for coming terms. The 13 March 2015 class of directors elected for three-year terms are Tracy Becker -first term, William Hearst -second term, Bill Kaufman -first term, and Jack Troese -first term. For CCCF trustees on the Bridge Builders Community Foundations Board of Trustees we elected Jerry Belloit -second term, Bill Kaufman -first term, and Charles Marlin -second term. Officers for CCCF elected for one-year terms are President Bill Kaufman –first term, Vice President Charles Marlin -first term, Treasurer Jerry Belloit -first term, and Secretary Clara Belloit -first term. Evelyn Toynton’s little volume, Jackson Pollock, will breathe fire and fuel into your next encounter with a Jackson Pollock painting. You are lucky if you live near a Jackson Pollock or travel near one, and also have this book to help you understand his emotions and vision, his energy, his work, his still exhilarating innovation, his impact on artists during his lifetime, and his continuing influence on art. That is a lot to deliver in essentially a long essay but it is all there in an easy, smart style. To illustrate how much you are going to enjoy Toynton’s insights and writing, I opened the book at random and took the first paragraph my eyes caught for the following quote. Three boorish, irritable and irritating, egocentric, prickly, priggish, English philosophers drag you through their fractured and unpleasant lives and professional bickering, all in the service of an extremely dense novel; and what do you do? You read with anticipation all 558 pages of The World As I Found It, by Bruce Duffy. If Bertrand Russell, Ludwig Wittgenstein, and G. E. Moore, pictured above from left to right, lived in your apartment building, there would be every reason for you to look for another place when your lease runs out. Now, having gotten the nasty three out of the way, you can enjoy this wonderful literary circus act that balances the three men as well as their divergent work. At no point will you want to skip the explanations of what they may have tried to prove, or their sexual proclivities, because it all seems important in their high stakes struggle to make sense of life. They come across as medieval knights struggling for their place at the round table, and preferably a place close to the king. Today marks the 5th anniversary of the organization of the Clarion County Community Foundation as an affiliate of Bridge Builders Community Foundations on March 13, 2007. The role of the community foundation is to serve in perpetuity as local trustees for endowed trust funds dedicated to various charitable needs and nonprofits within its service area. Today we placed ribboned flowers on the grave stones of our two memorial donors, Mary E. Shaner for the Mary E. Shaner Scholarship Fund for Keystone High School, and Ralph M. Eccles for the Rimersburg Medical Center Fund. This is fulfilling one of the four pledges a community foundation makes when accepting the trusteeship of an endowed fund. First, the community foundation pledges to adhere to the donor’s instructions; and if it must accept changes to do so as instructed by the appropriate court of law. Second, the community foundation pledges to invest and protect the fund for growth and income in a prudent manner. Third, the community foundation pledges to keep the fund in compliance with all Federal and state laws and tax codes. He has authored/created a number of photographic art books, all of which will tell you something about him; but the two that combine to reveal him as author are The House I Once Called Home, published in 2003, and The Lieutenant Who Loved His Platoon A Military Memoir, published in 2011. Each enriches the other. In the older book especially but also in the most recent book, you read the polished mature author. In the recent book he reproduced two sets of letters he wrote as a young officer in the Army from ’53 to ’55. The letters he wrote to his “father confessor” are unguarded, self-pitying, depression ladened, and show nothing of what he would become as a writer. The letters he wrote to a female former classmate were written with a persona in mind he did not want to lose. 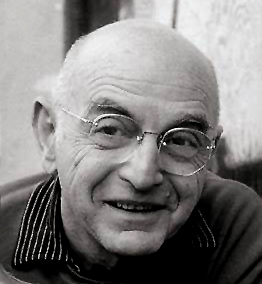 Under this pressure his writing is disciplined and begins to show his latent talent as a writer. 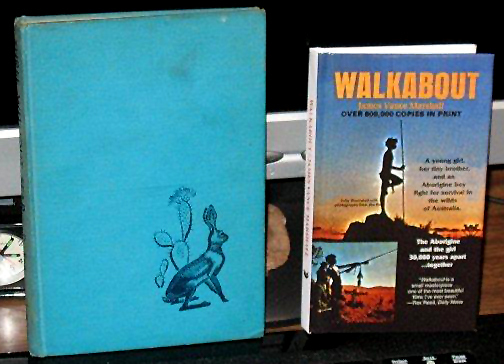 I recently came across a new copy of Walkabout by James Vance Marshall, a popular children’s adventure story set in the wilds of Australia. First published in 1959, it has been a best seller in Australia, even prompting a bad rewrite for the movie Walkabout in 1971. The new edition is poorly illustrated by grainy, dark stills from the movie. The story is simple: an Aborigine boy and a plane wrecked American girl and her younger brother team together to survive a harrowing trip across the Australian desert. I remembered a similar story first published in America in 1947, Three Without Fear by Robert C. DuSoe and beautifully illustrated by Ralph Ray, Jr. In this story a shipwreck off the tip of Baja California throws an American boy in with a Mexican boy and his younger sister as they travel north the length of the peninsula. In both stories, sharing knowledge and experience, the children build bonds of respect and friendship, and learn to live in the beauty and reality of a wilderness. Their cultural and racial differences are critical to their successful survival; and the triumph of the stories is that such things can be successfully turned into something good. Those differences were given a much darker tone in Walkabout than in Three Without Fear. The Aborigine is not treated as well in Walkabout as are the Mexican brother and sister in Three Without Fear. Surviving by their own wits, living off the desert in Walkabout, and living on sea and land in Three Without Fear, give the young reader insight and respect of untrammeled nature.